Two Lanes of Slip Slidin' Fun! Two-lane water slide and two slide boogie boards. Get a super fast slide with Hydro-Glide technology. Features a Splash Pool for hydroplaning. Race to the end of a 16 foot slide area! 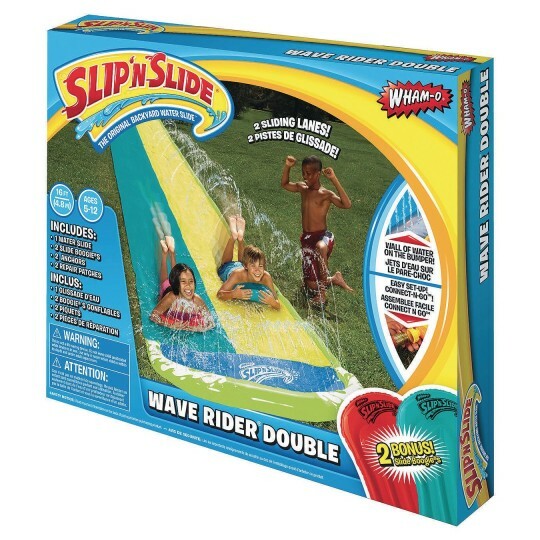 Two-lane water slide includes two slide boogie boards for twice the slip sliding fun! 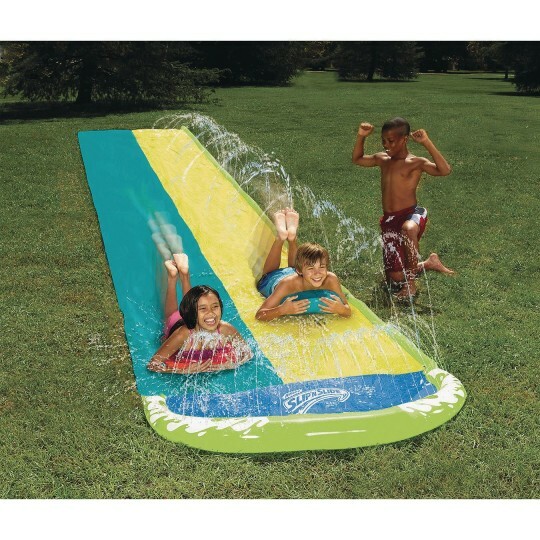 Kids get a super fast slide with Wham-o's Hydro-Glide technology. Features a Splash Pool for hydroplaning and a 16 foot slide area. Includes a 16'L x 57"W slide, 2 stakes, instructions and repair patches. Cool fun for a hot day! For ages 5 to 12. It was one of our grand prizes in a summer reading club. The kids that won it loved it.